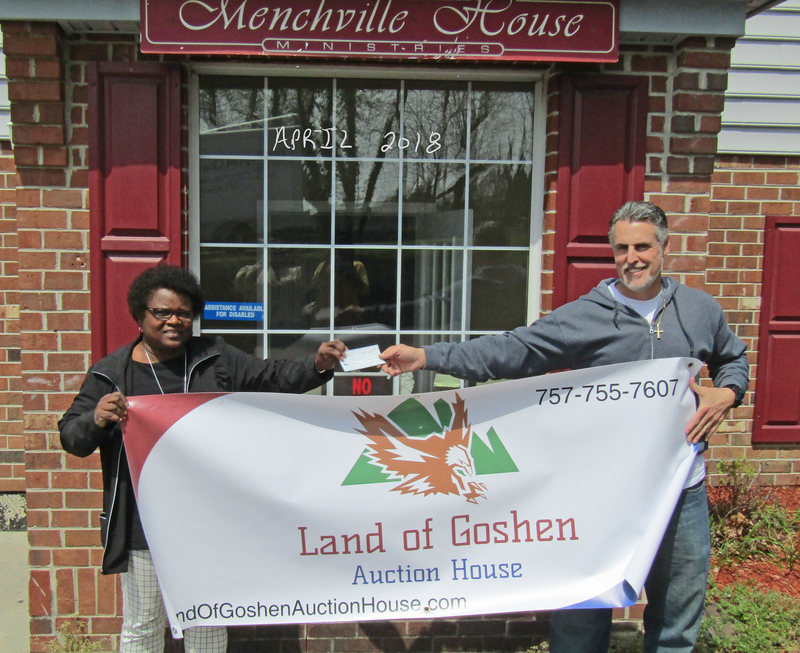 At Land of Goshen Auction House, we not only want to be known as a top rated auction company, but also as a "House of Hope." We want to bless charities and non-profit organizations in Hampton Roads. This page will be dedicated to displaying some of those moments. Scroll down to view. We want to put Luke 6:37-38 into practice in our lives and business everyday. 37. "Do not judge, and you will not be judged. Do not condemn, and you will not be condemned. Forgive, and you will be forgiven. 38 Give, and it will be given to you. A good measure, pressed down, shaken together and running over, will be poured into your lap. For with the measure you use, it will be measured to you." "What we do - We begin by meeting physical needs. When the needs are great, and the situation is dire, we rescue with lodging, food, clothing, or finances. This physical rescue serves two purposes: 1) physical needs must be met and 2) it opens the door to begin the process of spiritual rescue!!" Their Mission: "To help homeless families return to self-sufficiency by providing a temporary home and supportive services. Menchville House is a forty six-bed facility emergency housing facility for homeless families."